Increasingly the runner's road to healthy joints starts with gait analysis. Medical boots, cortisone shots or even surgeries never solved runners' problems the way 20 minutes of being filmed on a treadmill can, experts say. These examinations take place at a handful of hospitals and sports performance centers, and typically last one to two hours, including an initial review of what the medical professionals see. Patients usually get a written evaluation detailing how they might run pain-free. 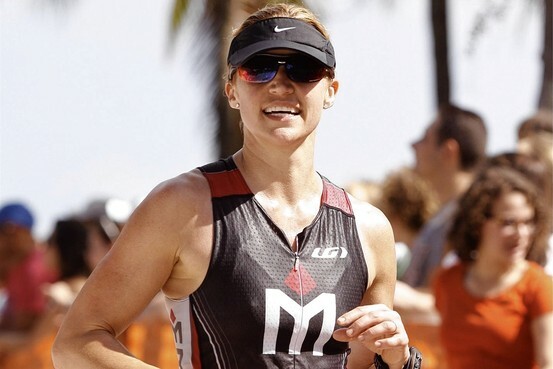 Anne-Michelle Barrett, a personal trainer and triathlon coach who lives in Sausalito, Calif., suffered a stress fracture in her left shin in 2010, then one in her right shin at the beginning of 2013. She says she wasn't overtraining. She rested and wore an orthopedic boot for six weeks in 2010 and four weeks in 2013. "I coach running, personal training and triathlon, and even I was still struggling," says Ms. Barrett, 37. Desperate to figure out what was causing the injuries, she signed up for a gait analysis at New York City's Hospital for Special Surgery with Michael Silverman, a physical therapist and the coordinator at the hospital's Tisch Performance Center. Mr. Silverman's initial examination revealed Ms. Barrett had hyper-mobile hips, which can produce an unstable stride. Then Mr. Silverman had Ms. Barrett perform a series of leg squats. He also watched as she stepped slowly off a platform. During each motion her knees bent inward as her legs moved forward. Next, Mr. Silverman filmed Ms. Barrett running on a treadmill from several angles. When he slowed down the video and measured the angles of her legs during her stride, the likely source of the pain became obvious—big strides and landing on the inside half of her feet. William Roberts teaches at the University of Minnesota Medical School and has served as medical director for the Twin Cities Marathon. He says gait analysis has become a more accepted part of sports medicine as traditionally trained orthopedists and surgeons have started to embrace the holistic approach of chiropractors, osteopaths and physical therapists. Dr. Roberts sees it as especially fruitful for runners who keep getting injured even though they are otherwise healthy. 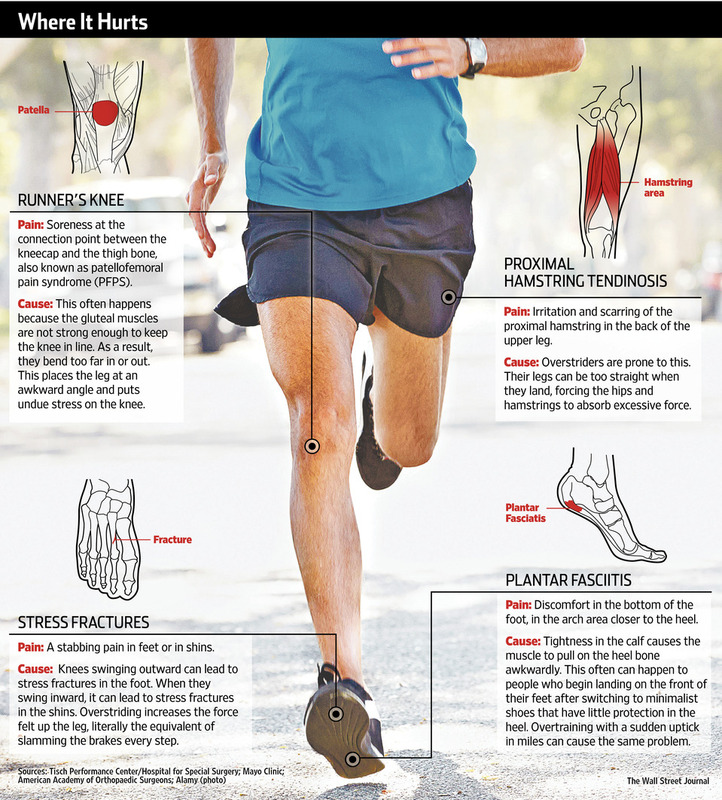 "If you are mechanically correct and there is still pain, then a gait analysis can really help," he says, since running shouldn't lead to joint injuries. The main causes of such injuries are obesity, genetics and traumas, such as a torn knee ligament on a leg twisted in a soccer game. Many doctors held for decades that distance running hurts joints and bones as much as it helps the heart. But beginning roughly five years ago, a series of studies have revealed that runners' joints and bones are actually healthier than average. Runners and others who exercise vigorously are actually significantly less likely to experience arthritis or require a major joint replacement than people who don't. James Fries, an emeritus professor of immunology and rheumatology at Stanford University, co-wrote the definitive study debunking the links between running and debilitating injuries in a 2008 report published in Archives of Internal Medicine (a publication since renamed JAMA Internal Medicine). He studied about 1,000 people 50 and over from 1984 to 2005. He calls running "the greatest intervention to postpone aging that's ever been reported." On average, his study showed running or another form of vigorous exercise postponed disability by 16 years and death by seven to nine years. Looking at a subset of study subjects found more joint replacements in the non-runners. "With osteoarthritis we used to worry about the wear and tear. Now we just worry about the tear," says Dr. Fries, who plans to publish updated results next year. The healthiest runners' legs move straight and forward. With each stride, Ms. Barrett's legs were bending inward at the knees. That caused her to land on the inside half of her feet. Her feet hit the ground directly beneath the center of her body, putting intense pressure on her lower shins, a problem exacerbated by Ms. Barrett's overstriding. Straighten out the knees and shorten the stride and the pain just might go away, Mr. Silverman said. Ms. Barrett soon started running on a treadmill in front of a mirror so she could focus on running as if on narrow railroad tracks. She strengthened her gluteal muscles so she could better control her knees, shortened her stride and speeded up her cadence. She has completed two more triathlons and a trail race since the analysis, and the 200-mile relay race from San Francisco to Calistoga, Calif.
Dr. Fries, the Stanford physician, cautions that it's too early for gait analysis to be deemed a panacea. The practice has been going on for more than a decade but has only become popular in recent years. "They don't have the 30-year studies of outcomes," he says. Mr. Silverman agrees. But he and other medical professionals say there is a high degree of correlation between certain running patterns and certain injuries. For instance, a bouncy running motion is bad. If the waist rises more than 5 to 7 centimeters with each stride, the motion becomes inefficient and places unnecessary stress on the hips and knees. Landing too hard on the heel is another common pitfall. It's fine for the heel to hit pavement first, but pounding down on it with too much force can cause pain and stress fractures. Gait examinations generally cost between $200 and $500, depending on the location and the sophistication of the equipment. A three-dimensional analysis using body sensors and force plates that measure the impact of each step push the cost to the higher end of the scale. 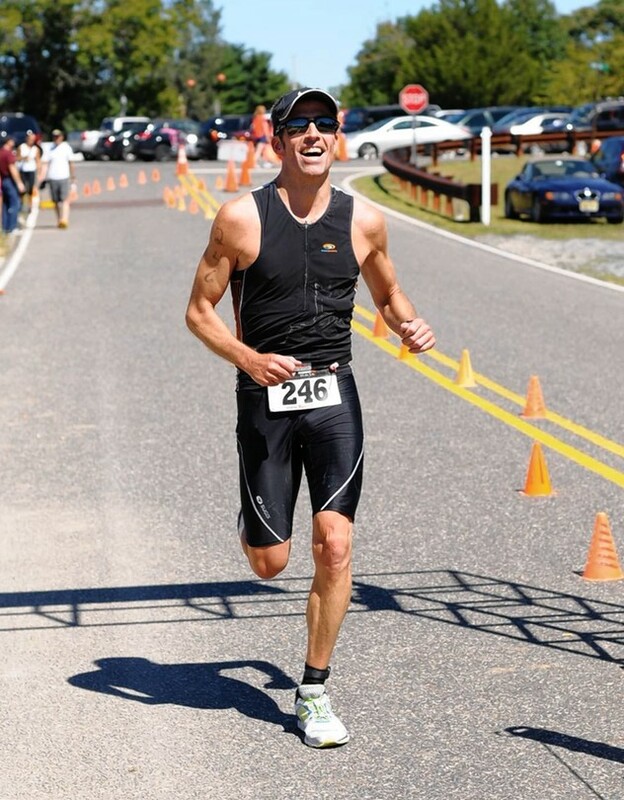 Kenneth Thomson, a 44-year-old lawyer and triathlete from Freehold, N.J., could swim and bike pain-free. But running caused him intense discomfort in the tendon that connected his hamstring to the bone in his rear end, a condition known as proximal hamstring tendinosis. Steroid injections failed to solve the problem. A gait analysis with Mr. Silverman revealed overstriding so severe, Mr. Thomson's leg was nearly straight on impact. He began an exercise program that stretched and strengthened his hip and hamstring muscles and shortened his stride. The pain went away. Mr. Silverman's clinic expects to perform more than 115 gait analyses this year, roughly double the number in 2011. Heather Vincent, director of the University of Florida Sports Performance Center in Gainesville, will conduct 250 to 300 such examinations this year. Dr. Vincent says she often tells runners the activity doesn't have to be high-speed, high-intensity or particularly athletic-looking to work.